Britain enjoys some undeniably excellent holiday destinations, from traditional seaside resorts such as Blackpool and Brighton, to inspiring and picturesque locations such as the Lake District or the Scottish Highlands. It seems that no matter what criteria define your perfect UK holiday, there will be a place that is well-known for meeting them. Of course, there’s nothing wrong with following the crowds and heading to a destination that you already know is going to provide a great holiday, but in doing so you may be denying yourself an even better holiday experience. Away from the well-known holiday hotspots there is an undiscovered side of Britain; a treasure-trove of counties that amply reward those who seek them out. The modesty that dissuades these lesser-known but no less entertaining places from shouting out their attractions from the rooftops can positively benefit the adventurous holidaymaker – after all, what could be better than finding a perfect holiday destination that no-one else knows about? Okay; so what sort of ‘hidden’ UK treasures are we talking about? In truth, there a many but let’s pick a single example. Let’s look at the county of Hertfordshire. Tantalisingly close to London, the small and historic county of Hertfordshire could be an urban nightmare. Nothing could be further from the truth. Almost fifty percent of Hertfordshire is ‘Green Belt’. To the north of the county, the rolling chalk hills known as the Chilterns have been designated an Area of Outstanding Natural Beauty. 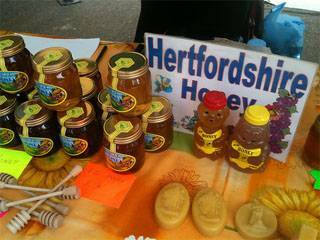 Much of the rest of Hertfordshire comprises farmland, ancient woodlands and river valleys and there are numerous local nature reserves to explore and enjoy. If your ideal holiday involves outdoor activities, Hertfordshire spoils you for choice. The 100,000 acre Lee Valley Park, which begins in Ware, offers a network of walking and cycling trails, horse riding, fishing, golf, bird-watching, white water rafting, heritage sites and more. Lee Valley is just one of a number of outdoor recreation parks in Hertfordshire; others include Aldenham Country Park in Elstree, Fairlands Valley Park in Stevenage and Whippendell Woods in Watford…there are plenty of others, but you get the point. Perhaps visiting stately homes and gardens is your holiday preference. Did you know that Hertfordshire can claim two of Britain’s finest and best loved stately homes? 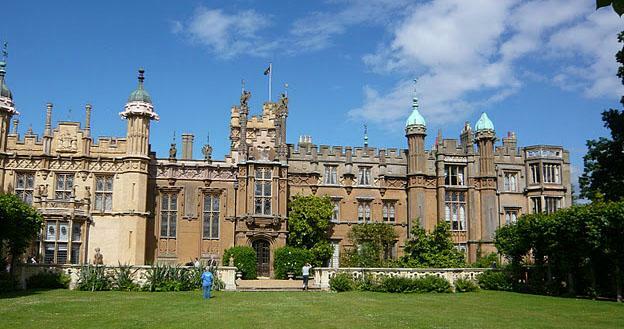 Knebworth House has been owned by the same family (the Lyttons) since 1490. Built in Tudor Gothic style, the house contains many heirlooms, antiquities and artworks that have been collected by the Lyttons over the generations. Outside, Knebworth boasts fabulous landscaped gardens, a maze and even a dinosaur trail for the kids! Hatfield House has been deemed one of the ten most magnificent palaces, houses and castles in England. The home of the 7th Marquess and Marchioness of Salisbury, Hatfield House contains exquisite Jacobean craftsmanship, fine furniture, tapestries and artworks. Hatfield’s well-tended seventeenth century garden adjoins a deer park and extensive woodlands which can be explored by visitors. Historic buildings are plentiful in Hertfordshire, from castles (Hertford and Berkhamstead) to cathedrals (St Albans), abbeys and priories and even a Roman theatre (Gorhambury). What about fun for the kids? Again Hertfordshire comes up with the goods; Paradise Wildlife Park in Broxbourne is one of Europe’s leading animal attractions, offering the chance to feed everything from a meerkats to a rare white lion. 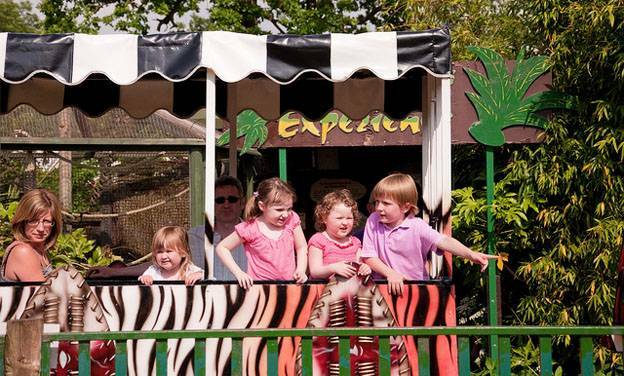 There are lots of fun activities here, including crazy golf, panning for gold and various rides and slides, whilst a miniature train can whisk you to the extensive park and gardens where you can follow a delightful woodland trail. There’s more family fun to be had at Willows Farm Village in St Albans where there are so many crazy things to see and do (Frisbee golf, anyone?) that the kids won’t want to leave. You want more? Well, you’ll find swimming, roller-skating, treasure hunts, laser games and go-karting amongst the many other activities for kids that Hertfordshire offers. When you add in a host of charming market towns to explore such as Bishop’s Stortford and Tring, countless museums covering every subject from military aircraft to film and television, a wealth of fine places to stay, dine out and sample local produce and then set the whole package in an area of some of Britain’s finest countryside, it’s hard to see why you wouldn’t choose Hertfordshire as a holiday destination. Hertfordshire is one of the smallest counties in Britain and yet it manages to pack in all of this holiday goodness and more; and it’s a well-kept secret. Hertfordshire is not an exception though; Britain has countless great and undiscovered counties such as Warwickshire, Bedfordshire, Sussex and Herefordshire each with its own attractions, history and secrets. The next time you think about your holiday in the UK, why not take a little time to look at those undiscovered gems of places to be found off the well-beaten tourist track; who knows what you may find? John is a UK travel blogger who wrote this guest post on behalf of Luton Hoo luxury hotel and spa. Luton Hoo is also one of the best wedding venues in Bedfordshire and Hertfordshire.